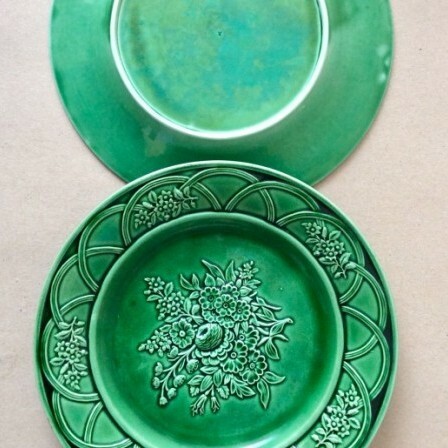 Antique Pair of unmarked majolica 8.75in relief moulded green plates. 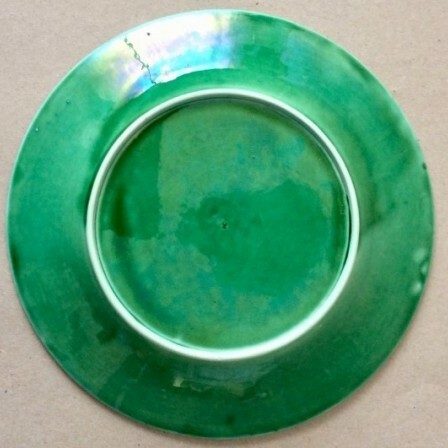 Description: Pair of majolica green press moulded flower plates. 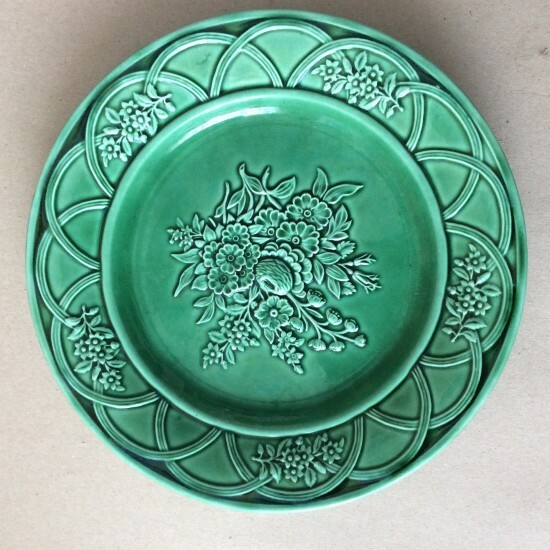 No makers mark but the border used by Wedgwood C1860. Impressed 2 to back. No damage or repairs. Dimensions: Diam 22.3cm, Depth 2.7cm.